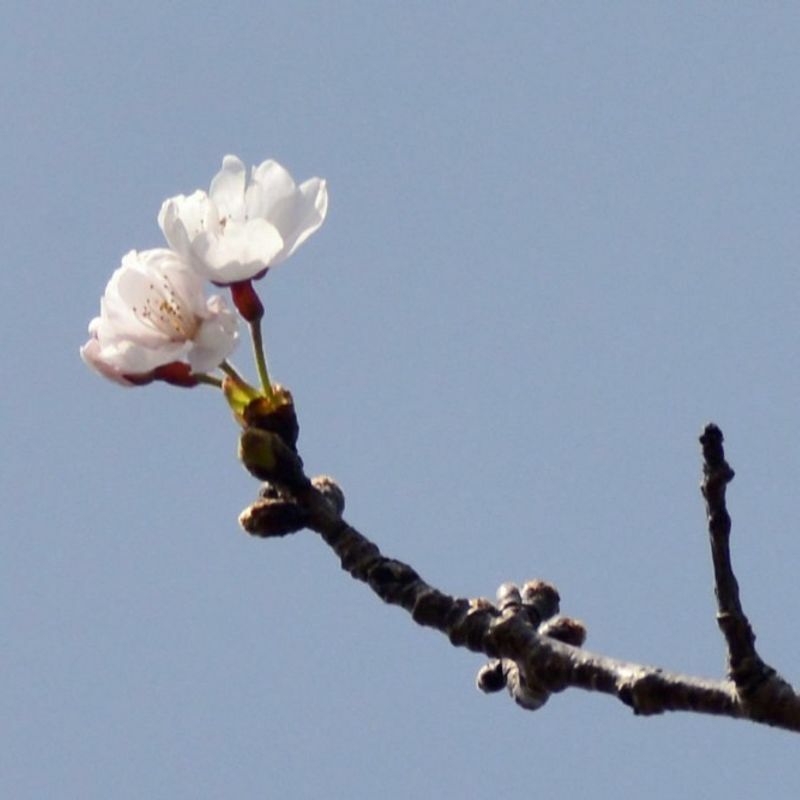 NAGASAKI - Cherry trees came into bloom Wednesday in the southwestern Japan prefecture of Nagasaki, the first officially observed blooming of the "Somei Yoshino" variety in Japan this spring, according to the Japan Meteorological Agency. Officials confirmed at around 10 a.m. that five flowers had started to blossom from a designated cherry tree at an observatory of the agency in the city of Nagasaki. The bloom was four days earlier than usual but three days later than last year. The flowers will be in full bloom in a week to 10 days, the observatory said. 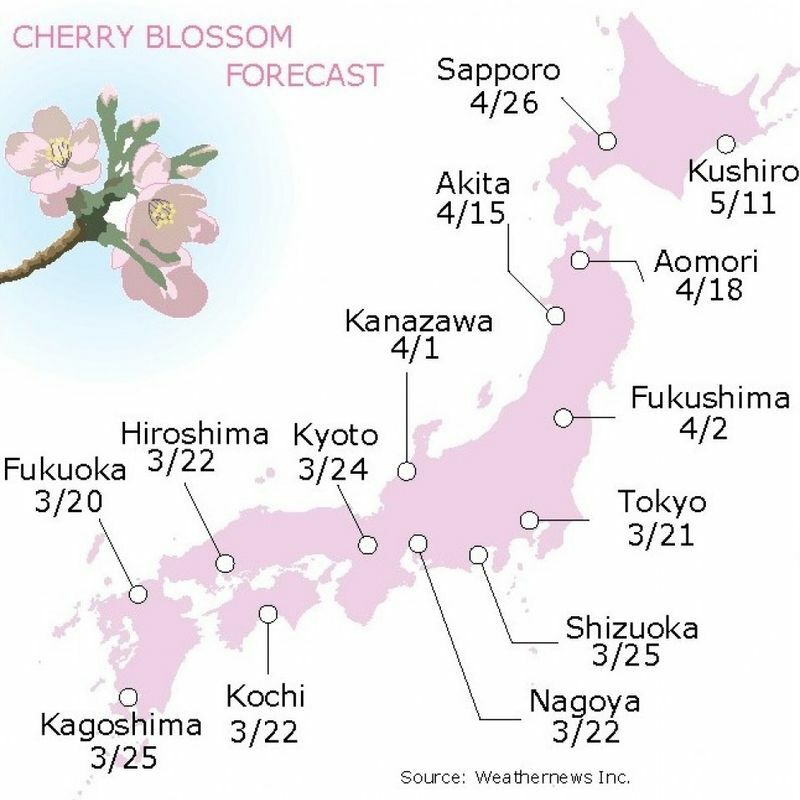 "The warmer-than-usual weather has most likely led to the cherry tree's early blooming," a local agency official said. The average temperature in the city of Nagasaki was 2.1 degrees higher than usual in late February at 10.8 C, and 1.8 degrees higher at 11.1 C in early March, according to the weather agency. On Wednesday, temperatures rose throughout Japan, with the mercury hitting 20.6 C in Kameyama in central Japan's Mie Prefecture, 19.4 C in Hitachiomiya in eastern Japan's Ibaraki Prefecture, and 19.1 C in Tokyo's Edogawa Ward.